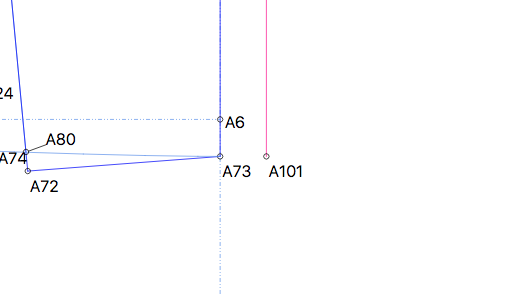 I’m trying to flip the line from A73 - A72 horizontally to create an extended button facing. I know the mirror tool exists but I’m unable to get the angle right to get a mirrored line on the right. I feel like this is possible but I’m unable to work it out in my brain! Ahhh brain fart. I figured out the “flipping objects by axis” tool. For other newbies: I selected A72, then selected A73 as my origin point.